I have been a streaming maniac for the past couple of days. I have learned one thing that Wowza Cloud has huge ongoing issues streaming to YouTube but it seems that it does just fine at any other of the live streaming locations I have been using. I am really pleased with the live streaming to twitter. The challenge remains to get all the streams up and running which takes a few minutes as I am launching the show. Fortunately, the majority of your subscribe to the podcast and listen on demand, but it is fun to push the edges here of what is possible. I have a pile of news for you and my 30-year soap box on how we will know where we have been in the past by the digital footprint we are leaving today. 3:52 Support our Sponsor Today! Thank you for your subscribing to the podcast. Email Todd or follow him on Facebook. 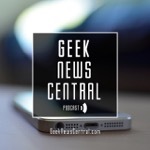 Like and Follow Geek News Central Facebook Page. Is your smartphone your only computer? What’s the best drone for photography? The post Streaming Maniac #1317 appeared first on Geek News Central.